A uniform early-established canola stand of six to eight plants per square foot can reduce pest management costs, allow for earlier harvest and improve yield compared to thinner, later and uneven stands. The tools at canolacalculator.ca will help growers understand how their individual scenarios influence plant density targets and seeding rates. The video “Canola Stand Establishment: A Grower Q&A”, available at youtube.com/canolacouncil, provides a good overview of factors affecting canola emergence. Plant establishment is one of the five pillars in the Canadian canola industry’s goal to increase average yields to 52 bu./ac. by 2025. This yield will allow Canada’s canola industry to keep pace with global increases in oil and meal demand while keeping a cap on acres. A uniform early-established canola stand of six to eight plants per square foot usually yields better than thinner, later or uneven stands. It also improves nitrogen use efficiency and maintains soil organic carbon levels. It makes crop more competitive with weeds and makes it easier to time disease management applications. It makes harvest timing decisions easier. A good stand is the foundation for economic and environmental sustainability. The target of six to eight plants per square foot is based on meta-analyses by Steve Shirtliffe, professor and researcher at the University of Saskatchewan, and Murray Hartman, oilseeds specialist with Alberta Agriculture. They looked at results for numerous Western Canadian canola studies and found that, overall, hybrid canola achieved 90 per cent of its yield potential with as few as four to five plants per square foot. 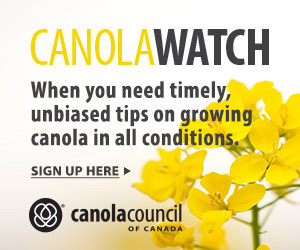 But a canola crop that misses this minimum threshold can see a dramatic drop in yield and profitability. The target of six to eight plants per square foot allows for the loss of a couple of plants to frost, insects or other establishment threats. Calibrate seeding rate based on seed size and population target. The Target Plant Density and Seeding Rate Calculators at canolacalculator.ca will help farmers set a plant population target that suits their risk factors and a seeding rate that accounts for seed size, which can vary significantly from lot to lot. 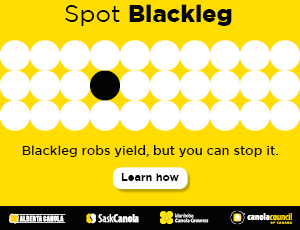 The 2012 Survey of Management Practices Used by Canola Producers in Western Canada by Blacksheep Strategy Inc., found that 36.8 per cent of producers calibrate their seeding rate to a specific plant population. It could be much higher than that now. Slow down. The appropriate seeding speed for good seed and fertilizer placement will depend on the opener and how it performs in given soil types and soil moisture conditions. It takes some digging to compare seed placement and fertilizer separation across the width of the drill, and to see how speed influences this placement. If a drill is not performing as needed, slow down in one-mph increments until placement improves. Use precision tools for accurate placement in high-residue situations. Direct seeding into residue while also providing consistent seed depth and separation between seed and fertilizer bands can help canola reach many sustainability goals, including higher yield, increased carbon sequestrations and lower greenhouse gas emissions (GHG). In the 2012 Blacksheep survey, 87.4 per cent of canola producers used a conservation tillage system. Soil carbon sequestration from conservation tillage reduces GHG emissions by 0.18 kg of carbon dioxide equivalent (CO2e) per kg of canola. Early establishment improves yield, reduces GHG intensity. In a GF2-funded study, Agriculture and Agri-Food Canada (AAFC) research scientist Vern Baron found that early-planted canola will provide a more sustainable on-farm footprint than late-planted canola. From an economic perspective, Baron showed that the land base required to net $100,000 was 442 acres for early-planted canola and 946 acres for late-planted canola. As is often the case, the yield benefit also provided an environmental benefit: GHG intensity per bushel for late-planted canola was about 2.5 times larger than early-planted canola (See Table 1.) Even though overall emissions for late-planted canola were lower than for early-planted canola, the lower yield made the emissions-per-bushel worse. Also, total inputs that contribute to nitrous oxide emissions were greater for late-planted canola than early-planted canola, even though fertilizer-N inputs were the same. Second in-crop herbicides may not be needed. With six to eight plants emerging from a seeding depth of around one inch, canola can achieve fairly early ground cover. This can have early season economic and environmental benefits by eliminating the need for a second in-crop application of herbicide. Early planted canola requires more energy and releases more nitrous oxide than late planted canola but that’s because it grows longer and yield way more. In Baron’s study, early-seeded canola yielded about 1,400 kg/ha more than late-seeded canola. Soil carbon loss is also less for early seeded. This makes its greenhouse gas (GHG) intensity much lower. Source: Vern Baron, AAFC. GHG intensity is based on crop lifecycle GHG emissions (given as kilograms of carbon dioxide equivalent) per hectare divided by yield (kg/ha).